N.O.R.E. 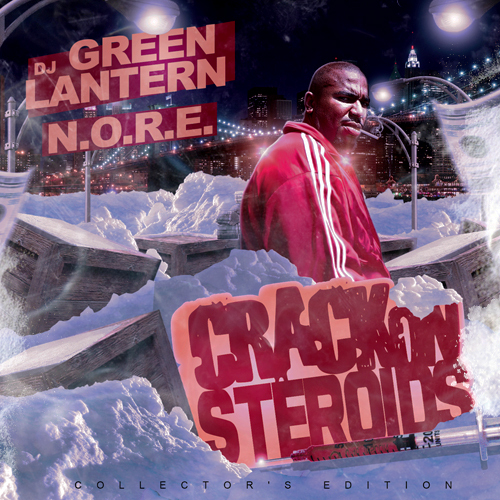 – Crack On Steroids [@Noreaga] | "Up to date / state of the art / take part, get taken apart as I make my mark"
Oh wow. N.O.R.E. has long been one of my favourite ig’nant rappers, and his Cocaine on Steroids mixtape from a few years gets put on blast regularly here at Illwood Heights. So as soon as I peeped a link to the new Crack on Steroids mixtape from over at Ringometry, I dropped everything I was doing and copped the download before you could say Holographic 2Pac. I’m only about half way through at the moment, but so far it hasn’t disappointed. There are so many ridiculous quotables flying left, right and centre, that its a hard job trying to decide which to use as an example. I mean, if that isn’t Shakespearian standard, then I don’t know what is. This entry was posted on April 16, 2012 by Koaste in Ig'nance Is Bliss, Mixtapes, Other Side of the Pond, The D is FREE and tagged Busta Rhymes, Cocaine on Steroids, Crack on Steroids, N.O.R.E., Noreaga, The Game.